I am very satisfied with the final product. The likenesses are do well done I'm beyond excited to have this bobblehead on top of my parent's 50th wedding anniversary cake. he company was VERY easy to work with, responded very quickly through email and sent it out very quickly. highly recommended! .. I am very satisfied with the final product. 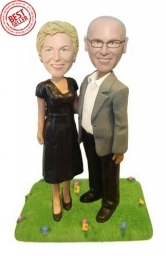 The likenesses are do well done I'm beyond excited to have this bobblehead on top of my parent's 50th wedding anniversary cake. 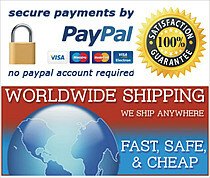 he company was VERY easy to work with, responded very quickly through email and sent it out very quickly. highly recommended!